By now you have probably grabbed your notebook of choice and a writing instrument that you love. If you don't love it, then you're in luck! Today we are going to discuss popular options to use in the Bullet Journal. I will share ones I have used and loved with the Bullet Journal or have heard from others that they like to use as their Bullet Journal pen or just have a hunch they'll be great Bullet Journal pens. Which do you prefer? Pens, pencils, or styluses? Which do you prefer, Kim? Here is a great article from JetPens to figure out the best fountain pen for you. 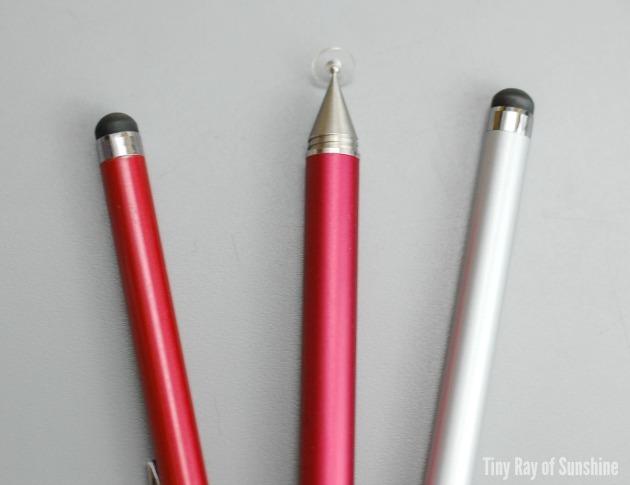 Here is a great article from JetPens for an introduction on multi-pens. 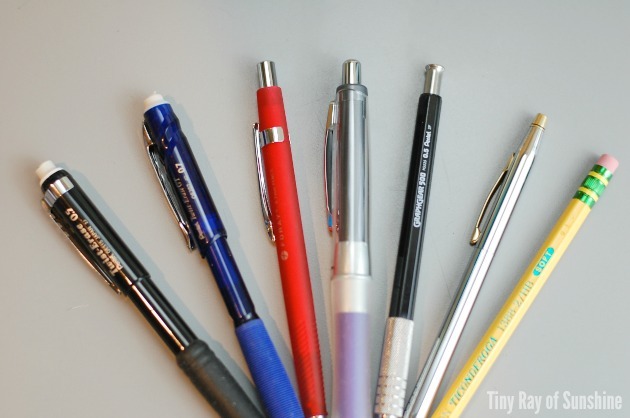 For an alphabetized list on the many different pen brands, here's a handy resource. 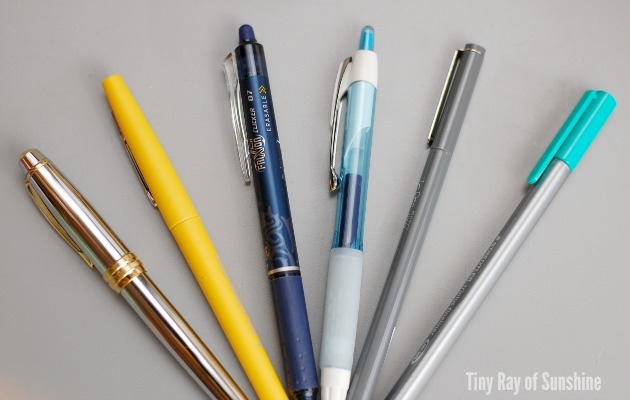 If you love pens, here is a lovely top 5 pens list from Brad of the Pen Addict blog. Some people like to use an iPad or tablet app that resembles paper along with a stylus. For this a few different styluses are recommended. (To see apps recommended for use as a Bullet Journal look at this post and scroll to question 7). Thanks for asking. I like all sorts. Erasable pens, fountain pens, felt pens, and, as an artist, I have a soft spot for pencils. For Bullet Journaling though, I've gone through different pens, starting with Pilot FriXion pens to dip my toes into using pens. I liked that I got the best of both worlds, the liquid authority of a pen and the erasing capacities of a pencil. It also helps that it is excellent at what it does, by that I mean that it erases cleanly. I enjoyed writing the dates with either a Uniball 207, Papermate Flair, Le Pen or Staedtler pen. Nowadays I use fountain pens every day in my Bullet Journal. My current favorites are the Mini TWSBI filled with Faber-Castell Stone Grey and the Cross Bailey filled with Waterman Inspired Blue (which unsurprisingly was in the top 10 most coveted inks of 2015!) Lastly, the pen I take while I'm out and about is the Parker Jotter with a gel refill, this one is my absolute favorite "I just need to write something down, quickly!" pen. What's your favorite writing instrument for the Bullet Journal? I know that there are tons and tons of pens, pencils and styluses out there and I would love to know your favorites to use with the Bullet Journal. Share your favorites as a comment. Also, I am not a pen expert by any means, I tried my best to keep accuracy but I may have missed something. So! If I gave the wrong information, please feel free to let me know, I'd appreciate it!